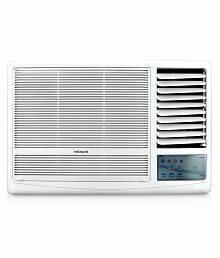 Here are top selected products for "Window AC"
Windows AC - The dire need to escape the uncomfortable hot and humid weather found an extraordinary solution with the advent of air conditioners. Window air conditioners are classic in terms of their utility and offer efficient cooling action. 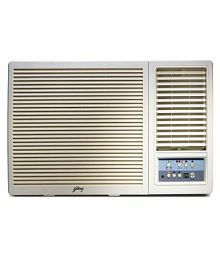 Snapdeal brings to you a varied range of window air conditioner models from popular brands like Panasonic, LG, Bluestar, Hitachi, Voltas, and others. Go ahead and explore the list to bring home your favourite pick. Be it for your home or for your workplace, you can find a suitable model after checking out the reasonable window AC price. The window air conditioners consists single units and are easy to install and maintain. You simply need to fix them up in window sills. They come as single units and are cost-effective. Most of the models come in the classic white shade and complement any home decor. Other than air conditioners, you can also buy important assistive accessories like copper coils, tool kits, etc. Browse the specifications of AC models offered to you to take your pick. You can choose a model depending on the capacity. 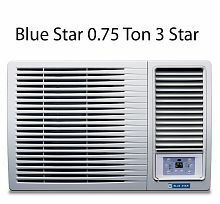 You can either choose a 0.75 Ton window AC or a 1 Ton if you need them for smaller rooms. Otherwise, you can buy a 1.5 Ton window AC or a 2 Ton model for larger rooms. Regulate the room temperature with ease using the convenient remote controls that are offered along with the models. The efficient blades and swingers ensure that you have a comfortable ambiance instantly. Other than being sleek and sturdy, the models also have a variety of interesting features like auto-timers, advanced filters, special modes, to name a few. One of the primary advantages of these air conditioners is that they are energy efficient. Take your pick depending on the star ratings of each of the models. Bid farewell to rising electricity bills and welcome home a proficient window air conditioner to stay relaxed when you are indoors. Enjoy relaxing with your friends and family like never before by opting for any of the window air conditioners. The brands also offer you a manufacturer's warranty on the products so that you need not worry about matters related to after-sales support. Buy window AC online from Snapdeal at economical prices right away and beat the heat. 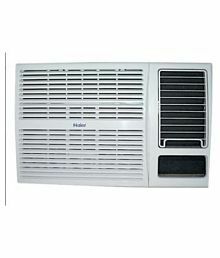 Which window AC is best? Download Snapdeal online shopping app now and get exciting app only offers at your fingertips.